The ‘DOMANI: Tomorrow’ exhibition of recipients of the Japanese Government Overseas Study Program for Artists provided by the Agency for Cultural Affairs has, since 2015, established a new annual exhibition entitled ‘DOMANI PLUS’. This year, O JUN is one of the specially featured artists in the ’18th Domani: The Art of Tomorrow PLUS’ exhibition. 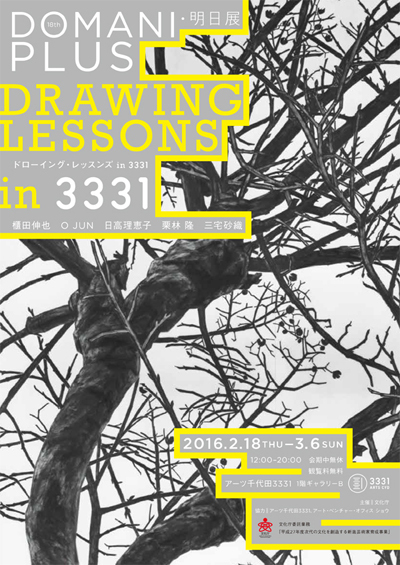 He will be exhibiting new drawing works as part of a show that focusses on the theme of the act of drawing.